Sportsman 570 Brushguard Pkg. Freight Included. Green. LAST ONE! 2019 Polaris Industries Sportsman 570 Brushguard Pkg. Freight Included. Green. LAST ONE! 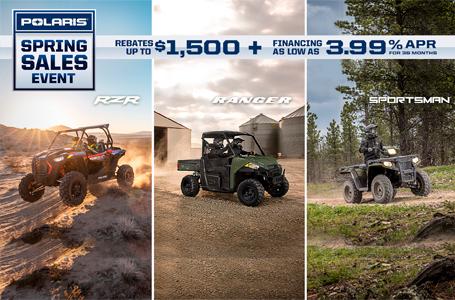 Package Includes Polaris Front Brushguard, Rear Brushguard, Rear Rack Riser, and Handguards. Price Includes Installation and Factory to Dealer Freight. LAST ONE At This Price!